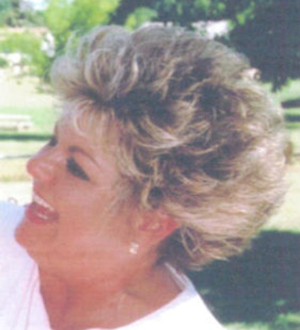 Obituary – Wilhelm, Alicia Dawn « Perry High School Alumni Association, Inc.
Alicia Dawn Wilhelm was born Jan. 21, 1956, in Farmington, N.M., to Bennie and Rose Marie Wilhelm. She passed from this life at the home of her daughter on Thursday, June 9, 2011. Alicia attended St. Joseph Catholic School through the 6th grade until its closing and then continued her education at Perry Public School. 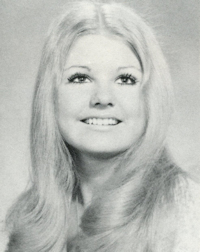 Alicia was a 1974 graduate of Perry High School. For the past 20 years she was employed as a technical writer for EnviroTech in Enid, Okla. She was hired when the company opened its doors and remained a loyal employee until her passing. She will forever be remembered as a loving mother, Ma-mow (grandma) and sister. The joy of her life was her daughter, Amanda Dawn, and her two grandchildren, Hunter and Hannah. The sparkle in her eye and the smile on her face told a story of love and happiness for the blessings she had been given in her daughter and grandchildren. Alicia is survived by her daughter and son-in-law, Amanda and Chuck Flowers, one grandson, Hunter Aaron Flowers, and one granddaughter, Hannah Dawn Flowers, all of Stillwater, Okla.; two brothers, Sid Wilhelm and wife Janet, and Doug Wilhelm; and one sister, Kim Payne and husband Mark, all of Perry, Okla.; nephews, Travis Wilhelm, Ian Wilhelm, Jeff Payne, Russell Caldwell; one niece, Allison Payne; and several great-nieces, great-nephews and cousins. She was preceded in death by a granddaughter, Taylor Dawn Flowers, her parents, grandparents and several uncles. A celebration of Alicia’s life will be 1 p.m. Sunday, July 17, 2011, at Indian Creek Village Winery in Ringwood, Okla., a special place that Alicia loved to visit, walking through its beautifully landscaped grounds and enjoying the tranquil scenery. In lieu of flowers, the family requests donations be made to Judith Karman Hospice.